Orchestra of Lyric Opera of Chicago / Andrew Davis. Lyric Opera of Chicago, Chicago, Illinois, USA. Thursday, November 30th, 2017. Tonight’s Walküre was the final performance of a run that sees Lyric Opera taking on one instalment per season of the Ring before a complete cycle in 2020. As on previous occasions, what struck me was the youthfulness and diversity of the Chicago public – opera clearly has a bright future in this culture-loving city – and the attentiveness of the audience throughout the five-hour-long evening was noticeable, hardly a cough or a rustle (although there was the mass exodus for the parking and taxis immediately as the curtain went down). 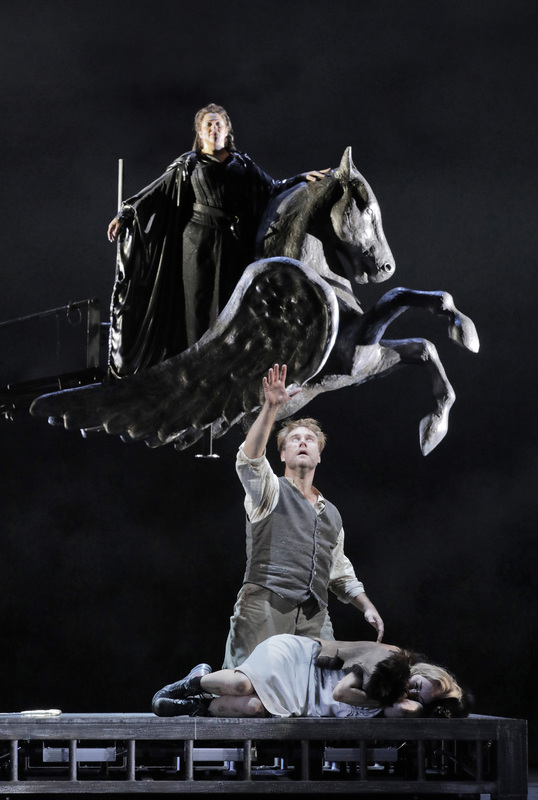 The staging was confided to David Pountney who gave us a human Walküre, one that created a cogent narrative not only through a focus on the personal relationships in the work, but that also made it clear that the events of the past feed into the present and the future. Of course any Walküre, like any chapter of the Ring seen in isolation in this way, will inevitably raise questions on how the other instalments will be staged. 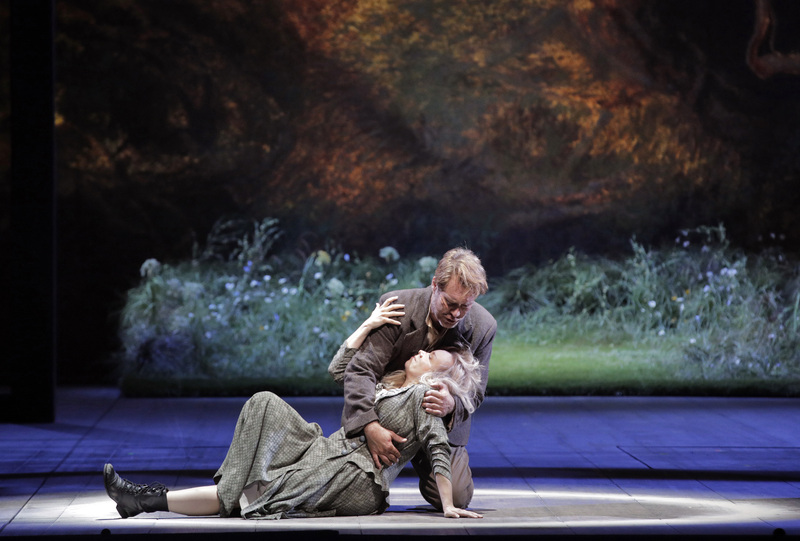 What is immediately clear is that this is a Walküre that communicates its story clearly and intelligently. Pountney gives us very believable and relatable characters. As the curtain rose we saw Wotan crossing the stage, creating the circumstances that would bring Siegmund and Sieglinde together. There is a tenderness to their relationship that is evidently contrasted with the brutality that Hunding shows Sieglinde – chained to the tree, Hunding visibly mis-treats and abuses her. No wonder, therefore, that she chose to fall for Siegmund. Similarly, Pountney makes Fricka a much more rounded character than we often see, mining her confrontation with Wotan for comedy, but also giving her a pathos that is both domestic and universal. The same goes for the relationship between Brünnhilde and Wotan. Pountney, in collaboration with this fine cast, humanizes the god and Valkyrie and makes the love between father and daughter immediate and believable. 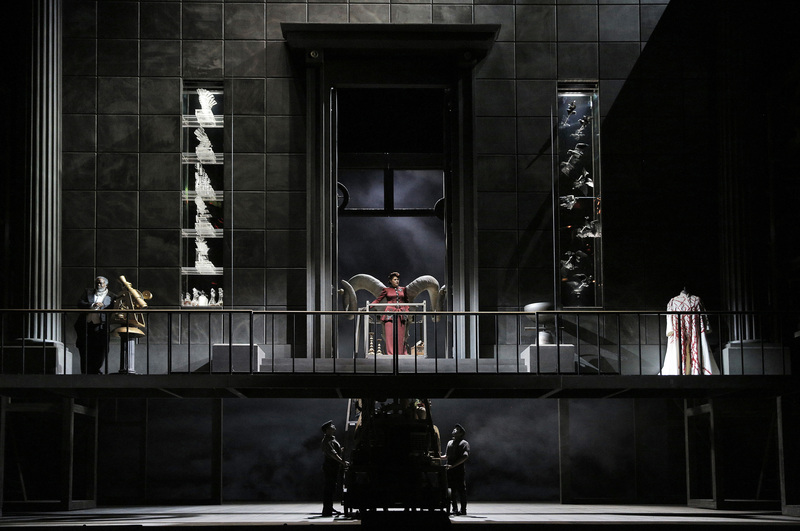 He achieves this, not only through the direction of his singers, but also by using the space on the stage – the gods live on a balcony placed half-way up the proscenium, the Wälsung twins on the floor of the stage, while the Valkyries cross between the two domains. 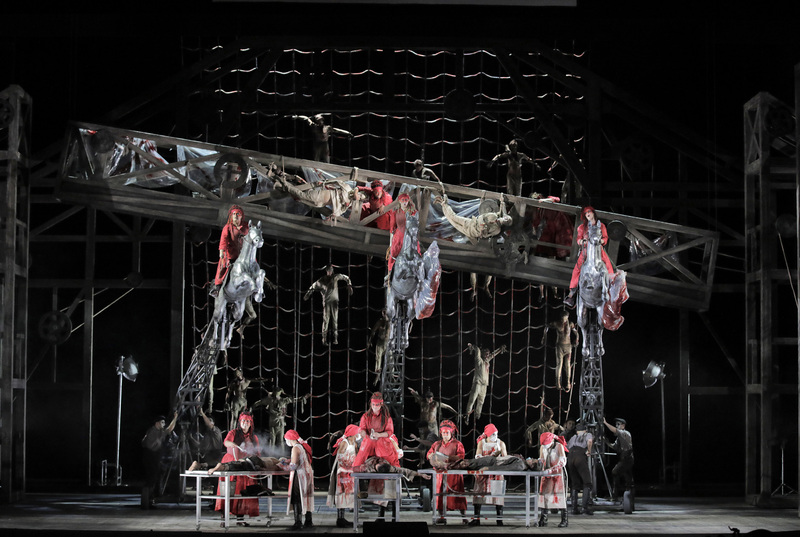 Pountney also gives some impressive stage pictures – the opening of Act 3, with heroes strung up in Valhalla looks impressive. 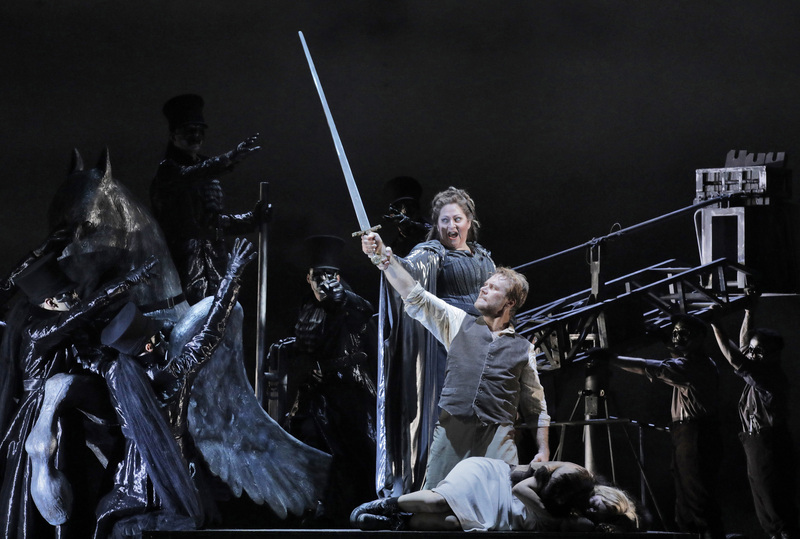 Interesting also to see how Sieglinde seems to look longingly at Nothung as Siegmund waves it around and Fricka also seems to look admiringly at Wotan’s spear as it descends from the flies. What Pountney manages to achieve is to give the audience precisely the visual splendour that many might crave, yet also populate it with a cogent and intelligent narrative that feels part of a much wider story. Musically, there was a lot that gave much satisfaction. Andrew Davis led a magnificent Act 1, phrasing the entire span of the act like a single, uninterrupted phrase rising to an ecstatic outpouring at the close. Act 2 was slightly more problematic with a distinct loss of tension in the Siegmund/Sieglinde scene with the result that it felt that he didn’t quite achieve in picking things back up towards the end of the Act. He found a wealth of sonorities in the band for the closing pages of Act 3 and was at all times a sensitive accompanist to his singers, always ready to pull back to allow them through. The orchestra played extremely well for him. There was a burnished warmth to the string sound that was captivating, while the winds, in particular the solo clarinet and oboe, played with great character. The brass played like heroes, not a single slip all night. 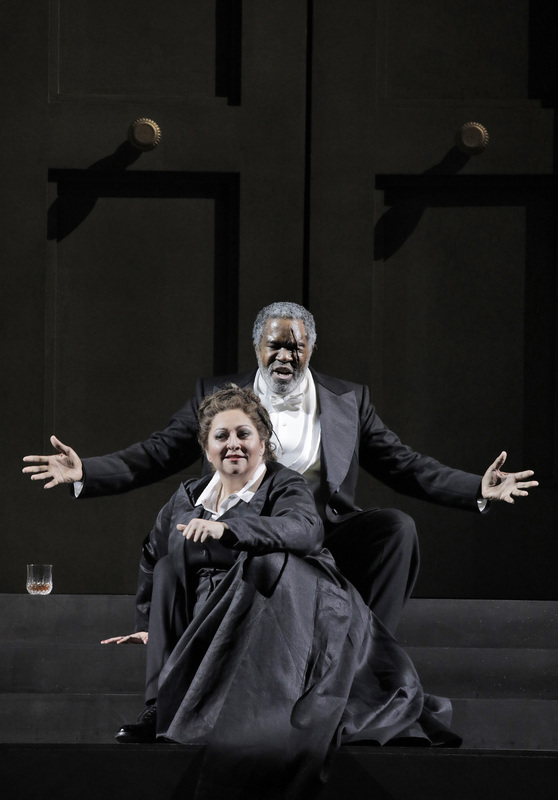 Eric Owens gave us some rock-solid vocalism as Wotan. He was implacable and humane, finding a warmth and vulnerability to the character that brought his dilemmas to life. Tireless throughout his long scenes, all that he did was truly sung off the text. If his bass-baritone lacks a little weight at the very bottom and there is perhaps a limited palette of tone colours, the sheer healthiness of the sound was most impressive. Christine Goerke gave us a voluptuous and full-voiced Brünnhilde. As with Owens, and indeed all of her castmates, everything was sung off the text. She gave us such musical and genuine singing, bringing out Brünnhilde’s girlishness in places and her humanity in others. The middle is full and warm but there is a tendency for the top to become shallow and taper off just when one hopes that it will bloom. Still, to hear a Brünnhilde sung with such sheer beauty and musicality is a great privilege. Brandon Jovanovich gave us a tremendous Siegmund, with such a healthy-sounding instrument from a baritonal bottom to a clarion top. His cries of ‘Wälse!’ were fortunately not held on interminably but sounded heroic and full of metal. The poetry he found in his ‘Winterstürme’ was magical. Similarly, Elisabet Strid’s Sieglinde found radiance and ecstasy in her ‘du bist der Lenz’, singing with genuinely immediate communication. Hers is an interesting instrument. The sound is quite chalky, with an almost imperceptible vibrato, and she is capable of pouring out streams of ecstatic ardour at the top. In a way, her vocal production reminded me of a young Gwyneth Jones. Sadly, Davis rushed her ‘hehrstes Wunder’ so it didn’t quite register in the way that it could have. Strid is certainly a singer I would like to hear again. In the remainder of the cast, Tanja Ariane Baumgartner was luxury casting as Fricka singing with a voice that seemingly defied gravity, from a rich and rounded middle to a shining top. Ain Anger was a cavernous, inky and grainy Hunding. The octet of Valkyries contained several very exciting voices who made notice of future Wagnerian stardom. Tonight was an evening that brought out the humanity of the work. One that lived through the text in an intelligent and above all human staging. It was very well sung throughout the cast, superbly played by the house band and well conducted on the whole. As a stand-alone instalment it made for gripping and uplifting music theatre – as part of a future Ring it promises much. I certainly look forward to seeing how it develops.